Power vs strength can be defined in each of us differently: trying to define a textbook meaning to these words that can be thrown around loosely in sport and fitness circles; do have their proper place and distinct meaning to each other. Oddly enough they are both parts of each other and related. Depending on what sport or athletic venture you're involved in you may need to increase overall raw strength and power or perhaps strength and endurance, your training should always reflect your goal. Development of power and strength can and will be unique to each athlete because power or strength also have mental components to each of them. Dynamic weight training.com will try to bring some clarification to these two terms. 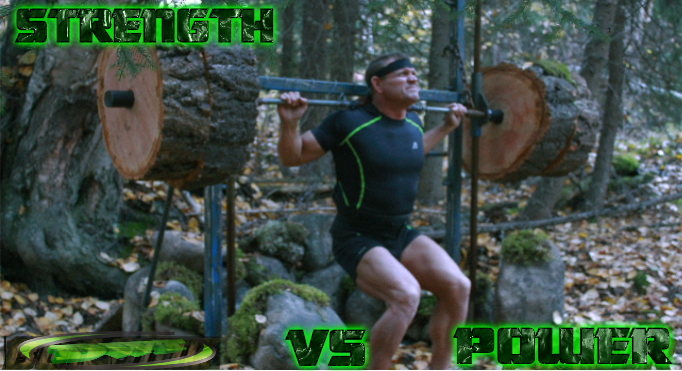 The defining difference between power vs strength can be simply summed up; strength + speed = power or the force of it! The determining difference between these two is: strength training results in having the muscles contracted over longer periods of time, meaning: several seconds, over the course of four or five repetitions in the exercise preformed. Training for power is the ability to have the muscle contract explosively (fast), which would be measured not in seconds, but in milliseconds. This is controlled and manipulated through practised repetitive movements based on technique, giving the best leverage and momentous advantage of moving the barbell/dumbbell to completion of the movement within the technique of the exercise. As the body learns to handle explosive power movements, the muscle structure and nervous system becomes more efficient or adept at building stronger Nero-pathway-bridges... this often stimulates new athletic confidence as power and strength increases. Power lifting, Olympic lifting or endurance training this explosiveness creates a strong visual impact when an athlete out-lifts the resistance of heavy external objects, often well in excess of the lifters own body weight. Strength = the ability to move heavy resistance while maintaining control over speed and tempo of the resistance. 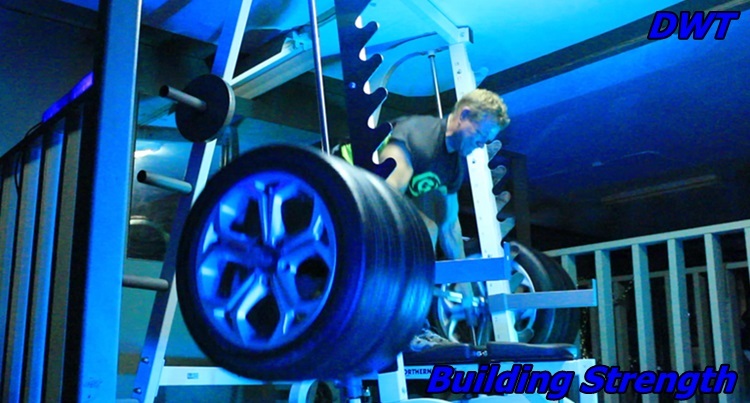 Best results for strength training resides in: using 85% or more of your (1RM) max with a 4 to 6 max rep range per set. In set bundles of 4 to 5 per exercise with 3 to 4 min. breaks between sets. Strength is also the ability to force the muscles to contract throughout each exercise entirely within each rep. This is extremely demanding mentally and physically. Multi-joint, or compound exercises are the basis of building up strength movements these exercises center on: the bench press, squats, dead lifting and rowing exercises. With power: the movements are generally more explosive, momentum is used to increase movement and central nervous system response. Building power: into your arsenal of weight training results in: becoming stronger in overall compound based movements or multi-joint exercises. The explosiveness of performing exercises of this calibre results in more-fast twitch fibre recruitment this can be used in any and all sports where power driven technique is used to greater advantage for each athlete, such as: football, sprinting high jumping, shot put or Olympic lifting etc. Part of the power vs strength phenomenon centres on genetic and athletic potential of each individual athlete. 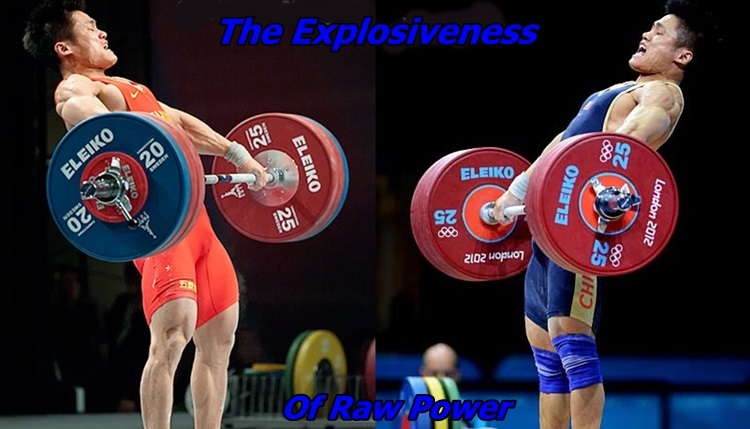 On topic of raw power and how to generate it: typically centres on the neurological intensity that an athlete can incorporate that forces, S/he’s will towards lifting an object quickly. Not only do the muscles come into play, the central nervous system also has to be trained to be in control and competent at explosiveness in power-based movements. 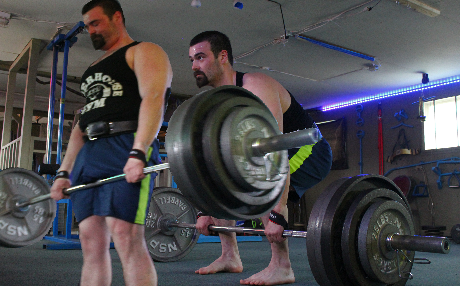 Training for power is psychological; consistent, progressive effort in lifting technique is what builds confidence and ability in power based lifts. This particular topic is not always discussed at length in some books or magazines. Tenacious confidence, is the force the mind uses to overcome obstacles that would normally be to difficult to move with any (effort including speed). When the mind can no longer force out another repetition, will-power generated by the desire to over-come and achieve the goal is where will-power is stored. When goals are succeeded and achieved, the weight lifter usually begins the graduation to the next level in his or her training. Power is often defined by its rep range and explosiveness of each rep, power and strength are both relatives of how they relate to the central nervous system. The connection that you make with your training for power or strength is directly related to one thing... stress, or how the body adapts to new stress. If the body is continually exposed to the same stress for too long, it can/will enter a state of exhaustion. The adaptive process to the same continuous stress for long duration's meaning in excess of 2½ to 3 months the body’s muscles simply succumb to exhaustion. The nervous system stagnates or plateaus and the body can become over-trained or unchallenged. Intermediates, even advanced athletes can sometimes miss the simple fact of prioritizing each goal; using a good periodization training system to change things up, giving the muscles, joints and the nervous system, new challenges and obstacles for them adapt to. In essence; it is not power vs strength, but more the difference between the two that the athlete should use to build raw strength to increase neurological explosiveness while incorporating good lifting technique to help keep you going in the direction of your goal. Four to seven weeks Max - continuously cycling them systematically to produce the results geared toward each goal will prevent stagnation and maximize training adaptation, going a long way towards preventing regular training plateaus, boredom and possible injury. If you’re relatively new to weight training in general, a lot of the information here is for more advanced lifters, so please keep that in mind if you're early in your lifting career. If you're unfamiliar with explosive based movements I might suggest - consulting an experienced lifter or personal trainer to help assist you for some of the more explosive efforts with these exercises in the beginning. Power vs strength is simply two different training methods in weight training; use them as and where you think you need them, never stick with any one of them for much longer than a few months. If you find you have weak spots in muscularity or strength or sport you compete in; using power and strength and prioritizing these weak areas can give you an amazing accelerated lift to your weight training or sports related progress. ultimately building a stronger confidence base that accelerates you to your Goal. Whether you train for strength or power take it one day at a time, if you’re determined... you will get there. I hope power vs strength has helped shed some light on the subject for you.